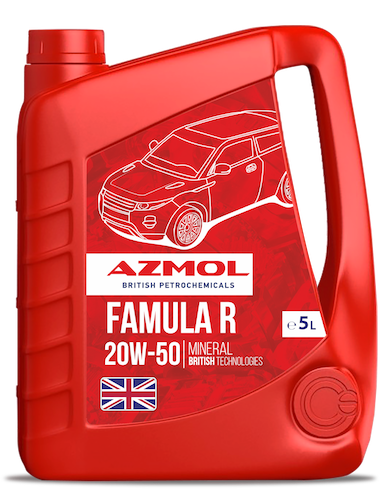 AZMOL Famula R 20W-50 – this is a high-quality mineral diesel engine oil class SHPD (Super High Performance Diesel), designed for the most severe operating conditions of high-power turbocharged engines from leading Japanese, European and American manufacturers. Specially suitable for use in mixed fleets, commercial vehicle and off-road vehicles and factories. protection against thermal breaks, which helps to prevent jamming of the rings.